It’s time for another 5 Books Friday! This week I’ve decided to write about a genre that I absolutely love (and which I totally made up)… circus fiction! 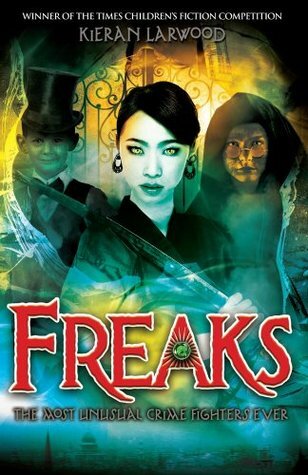 Freak s by Kieran Larwood – This band of misfits works at a Victorian freak show by night, but during the day they solve crimes happening in the slums. The police don’t care if a poor kid disappears, but someone needs to help the people in their neighbourhood, and far too many children have gone missing. Using their own unique talents, the freaks take on the villans of the London slums in this YA steampunk adventure. 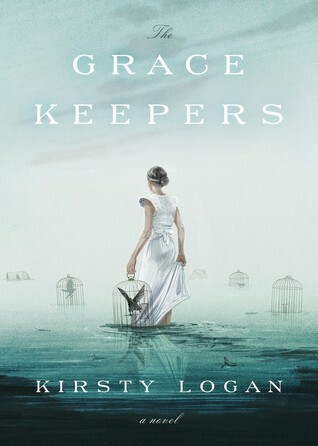 The Gracekeepers by Kristi Logan – Set in a post-apocalyptic water-world, this book features a floating circus. It follows the story of two girls whose lives intersect in unexpected ways. North works for a floating circus where she dances with her partner, a bear. Callanish is a gracekeeper, who performs funeral rights for those who die at sea. The world building in this book is lovely, the writing is wonderful, and the characters are unforgettable. 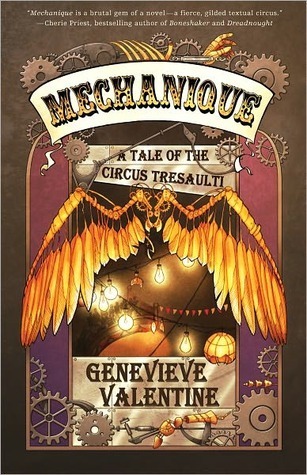 Mechanique by Genevieve Valentine – Although this book drew me in because of the steampunk cover, I fell in love with the horrifying beauty of the mechanical circus. Set in a war-torn world, the circus is a place of magic and wonder. Boss, owner and ringmaster of the Mechanical Circus Tresaulti, is the mastermind behind the brass and copper marvels that grace her stage. Some of her troop are barely human anymore, and yet they many of them yearn for the chance to wear the beautiful and deadly pair of wings that she has hidden away. 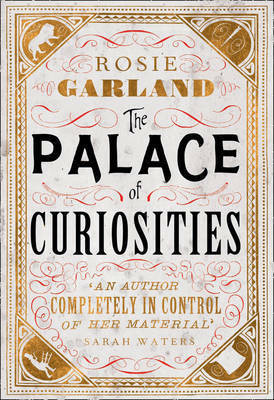 The Palace of Curiosities by Rosie Garland – This book is a great mix of disturbing and beautiful. Eve is a girl born with hair covering her face, who is married off by her mother to the owner of a freak show. The girl is naive enough to believe that her new husband really loves her, but soon realizes that she is being used as just another oddity in his show. There she meets Abel, a man who was dragged up from the Thames and has lived to tell the tale, who now performs as The Flayed Man. 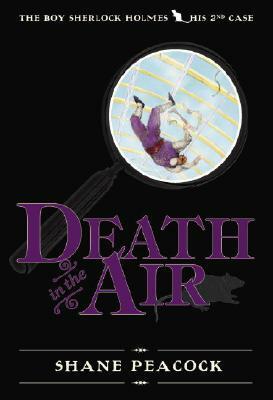 Death in the Air by Shane Peacock – This is the second book in the Young Sherlock Holmes series. In this adventure Holmes goes to visit his father at the Crystal Palace and is witness when a trapeze routine goes horribly wrong. Holmes seems to be the only one who notices that something is amiss with the trapeze bar, which sets him on a course to discover why anyone would want to harm members of a circus troop. So do you like books about the circus and freak shows as much as I do? What other books like this should I read? Have you read The Night Circus by Erin Morgenstern? I’ve tried to read it a few times but can’t get into it. There’s something about the writing style that just didn’t work for me. I can see that for sure. That was just the first circus book to pop into my head haha. This is something on which readers are very divided. Half say “wondrous,” and half say they couldn’t even finish the book. I do want to read Kirsty Logan, though!